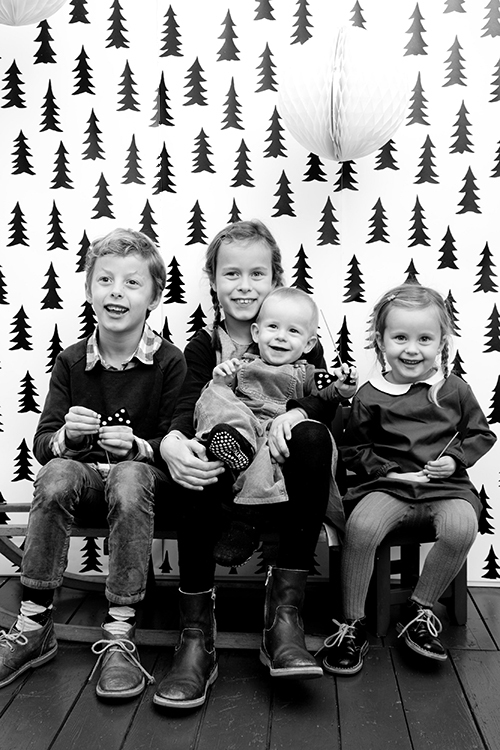 Maud Fontein’s Happy Holiday Shoot — at the ShopUp! I also picked up a box of the gorgeous cards that Vivian Dony from Donydesign designed in cooperation with Maud Fontein to house the photos of the Happy Holidays Shoot. Each box contains 20 very pretty cards, black envelopes and matching envelope seal stickers, cool masking tape and a white pen. 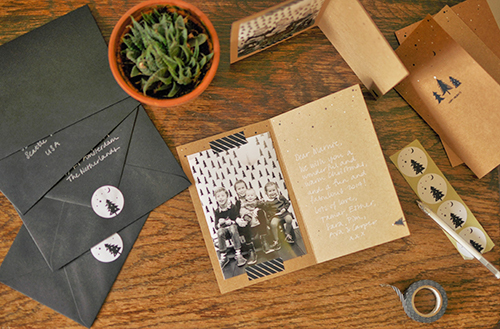 Everything to make it super easy to create our own, personalised holiday cards with the contents of the box and the prints from Maud’s shoot. And I’m super pleased with the results! The cards look so cool and crafty and original. If you’re coming to our ShopUp event in London this Sunday or Monday (we hope so! ), do bring your kids! Maud will be there with her Happy Holidays setup, and Vivian will be selling the cool boxed card sets as well. 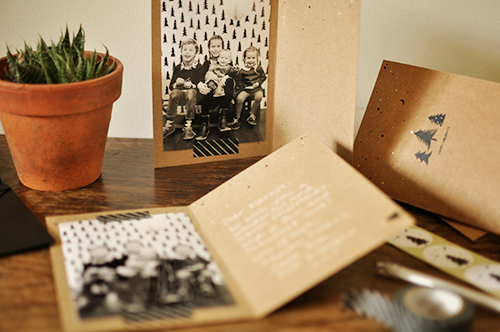 The perfect opportunity to get cute family photos, and everything you need to make these cool holiday cards!! (And in case you’re not interested in specific holiday photos, Maud will also bring a more generic background, like the one you can see here.) It will be such fun! Unfortunately I can not make it to the shopup…can the cards also be ordered online? The first pic is so cute. Lovely kids. What a beautiful set of photos and I adore the card design. I love the idea of the box set with everything in to make the card – super stylish! !